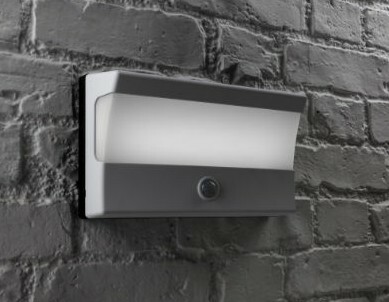 Designed in the UK, the MIGHTYLITE ELITE with PIR, is Hylite’s latest development in LED courtesy and security lighting, providing attractive, energy-saving, (2W) low-level lighting from dusk to dawn, and only increasing to full brightness when movement is detected by the built-in PIR. 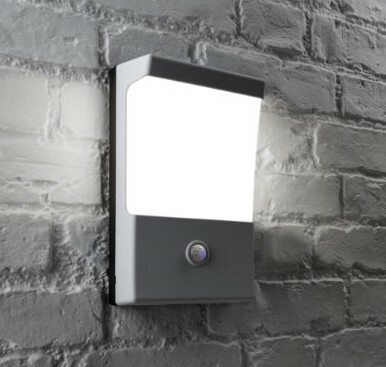 The PIR has a range of 2-8m and has adjustable lux level (light level at which the light operates); time the light goes on for after activation (15 seconds – 4 minutes); and range. 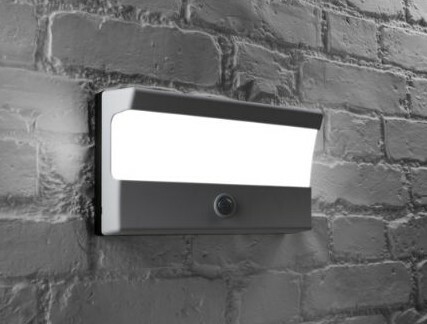 Available in both portrait and landscape formats, the MIGHTYLITE ELITE uses high-powered Epistar LEDs and British designed dedicated driver unit to deliver bright, energy saving light with industry-leading levels of reliability. 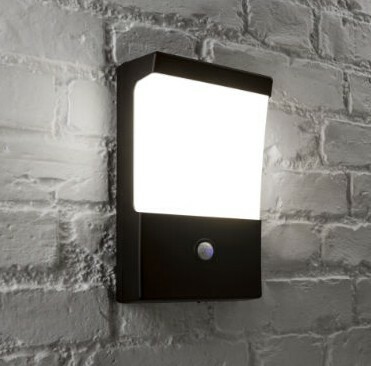 Ideal for outside or inside use. 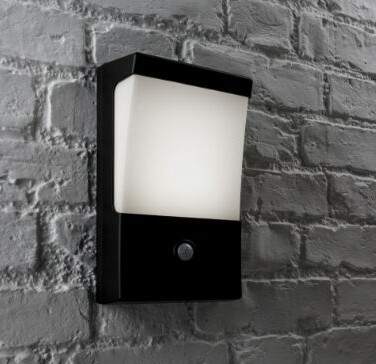 Attractive 550 lumen wall light which features power saving technology to provide low-level lighting from dusk to dawn, increasing to full brightness security lighting, when the PIR detects movement. Supplied in portrait format with a matt black polycarbonate cover on a black aluminium backplate. 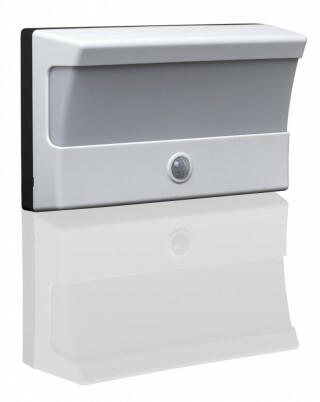 Supplied in portrait format with a gloss white polycarbonate cover on a black aluminium backplate. 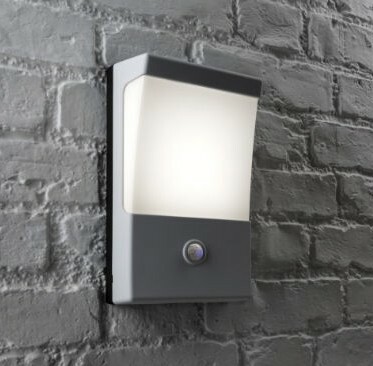 Attractive 430 lumen wall light which features power saving technology to provide low-level lighting from dusk to dawn, increasing to full brightness security lighting, when the PIR detects movement. 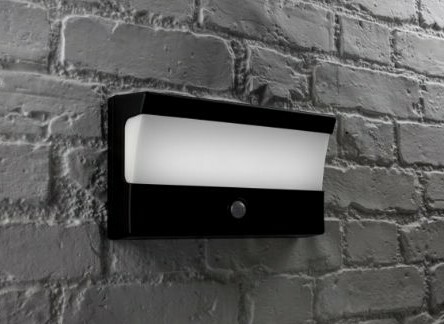 Supplied in landscape format with a matt black polycarbonate cover on a black aluminium backplate. 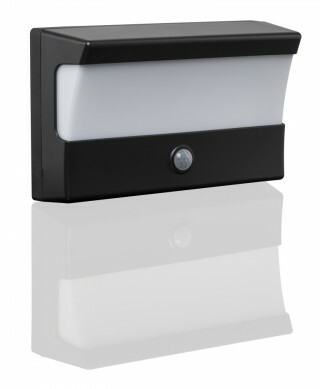 Supplied in landscape format with a gloss white polycarbonate cover on a black aluminium backplate.